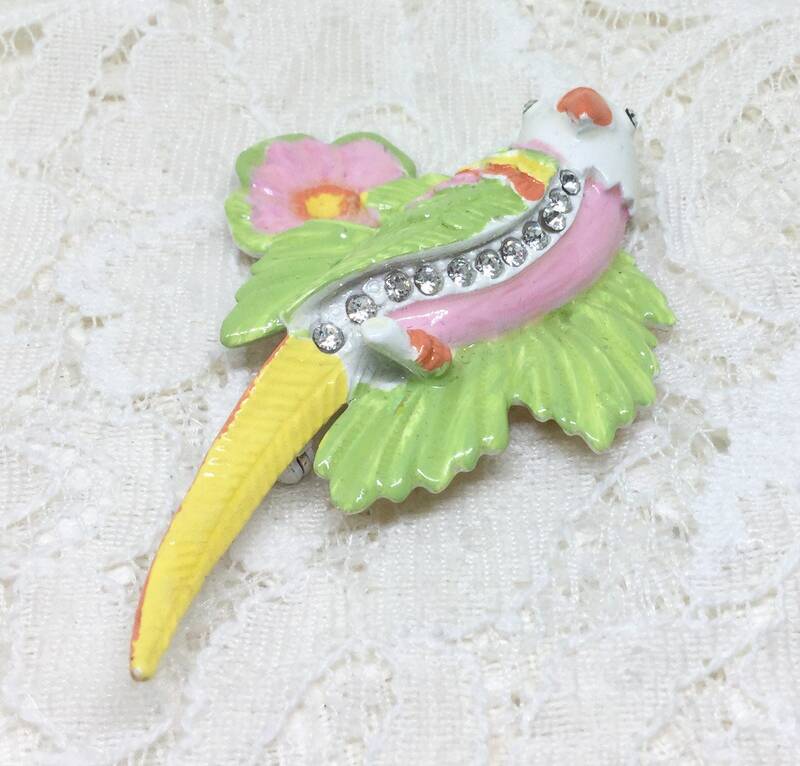 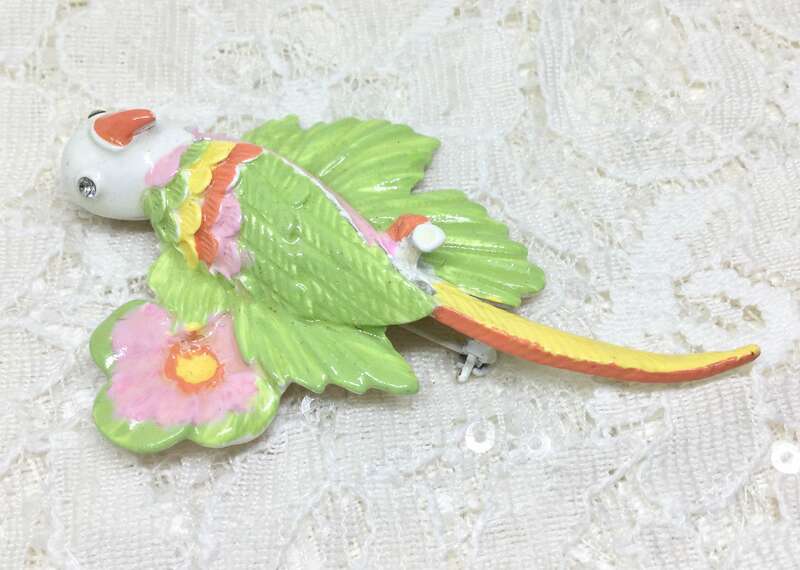 This is a sweet vintage unsigned pastel enamel parrot tropical brooch. 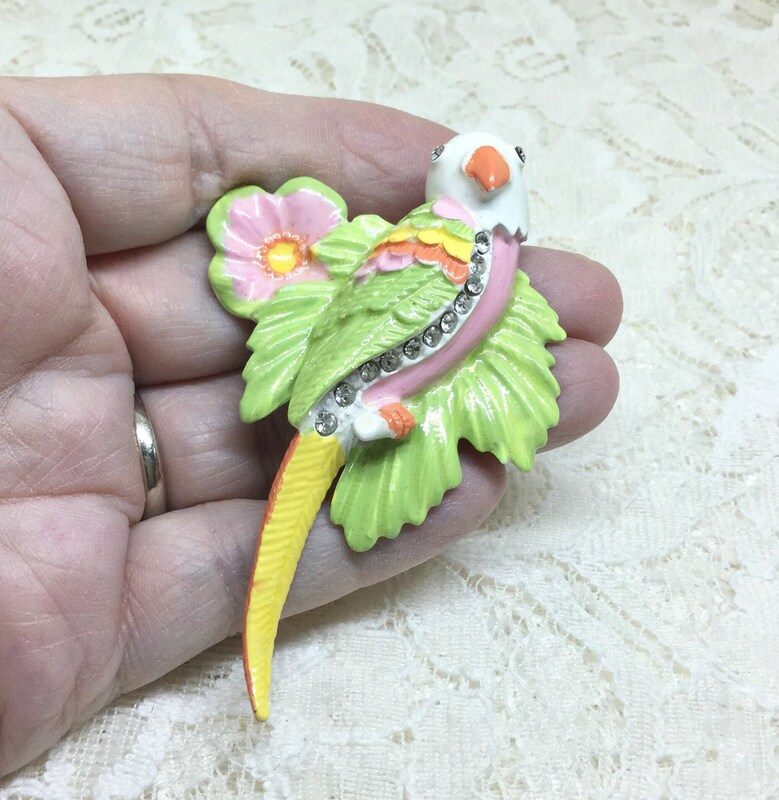 This is a heavy goldtone metal with a parrot against a backdrop of s flower and large leaf. 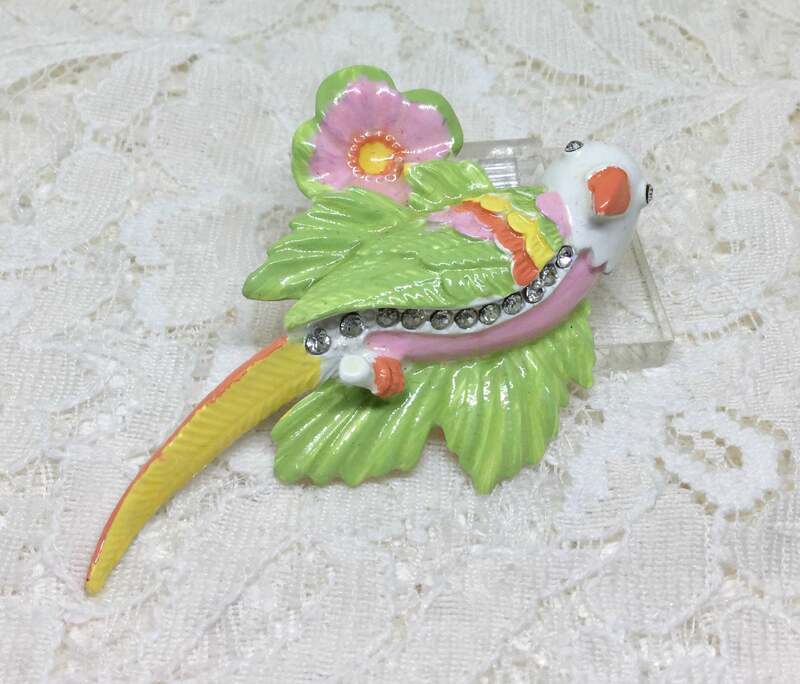 The pastel enamel is green, pink, and orange on the flower and leaf. 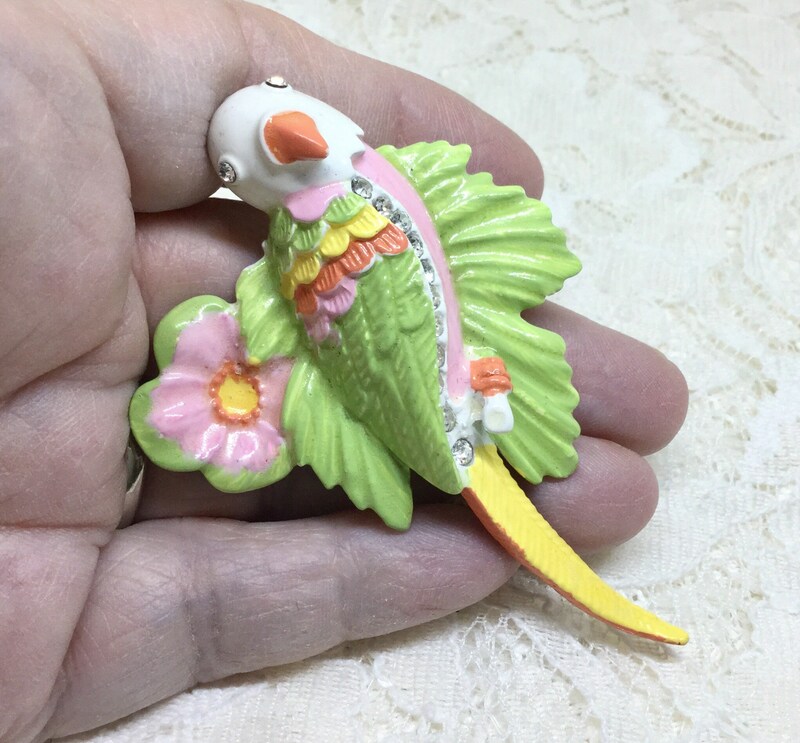 The pastel enamel on the parrot is a white head, yellow tail, pink breast, and green,yellow,pink, and orange feathers. 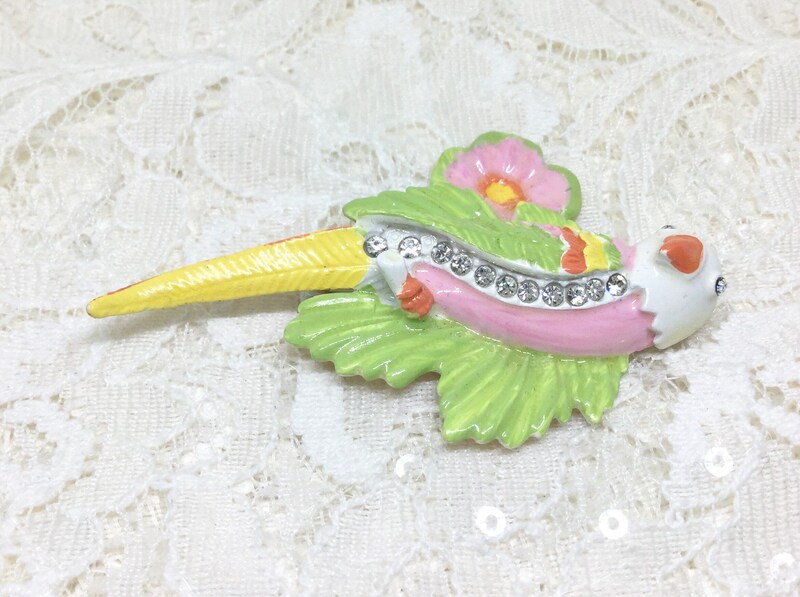 There are two clear rhinestone eyes and clear rhinestones running down the length of the body. 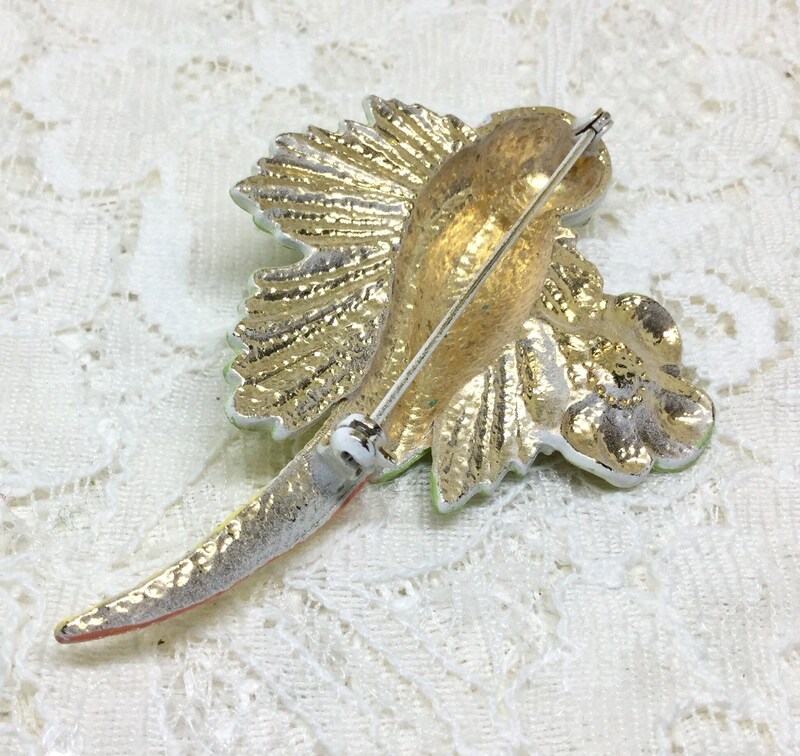 It measures 3” x 2” and the pinback is straight and works smoothly and securely. 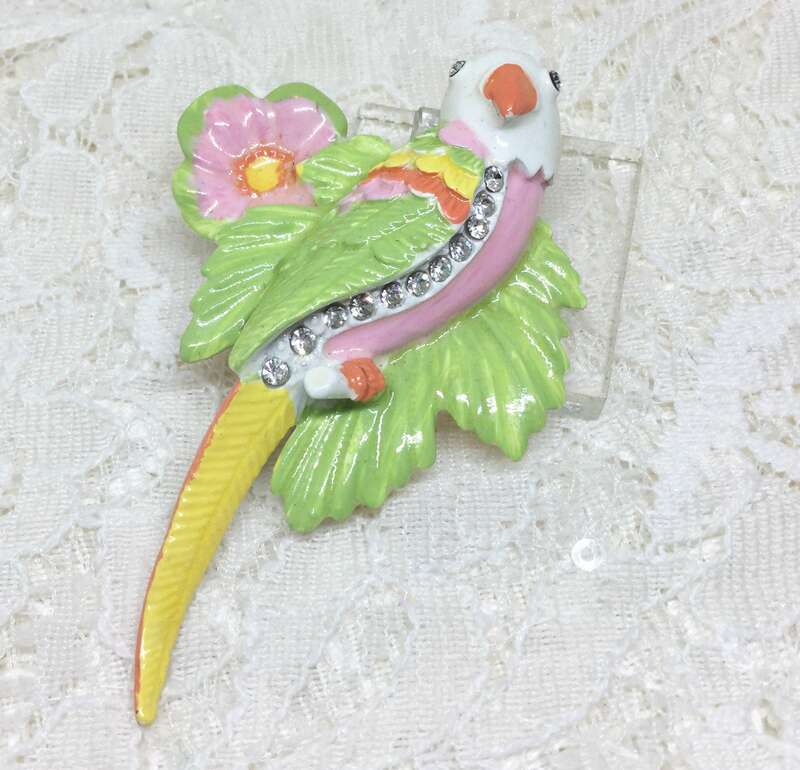 It is in great condition and the tropical vibes will make you want to smile!